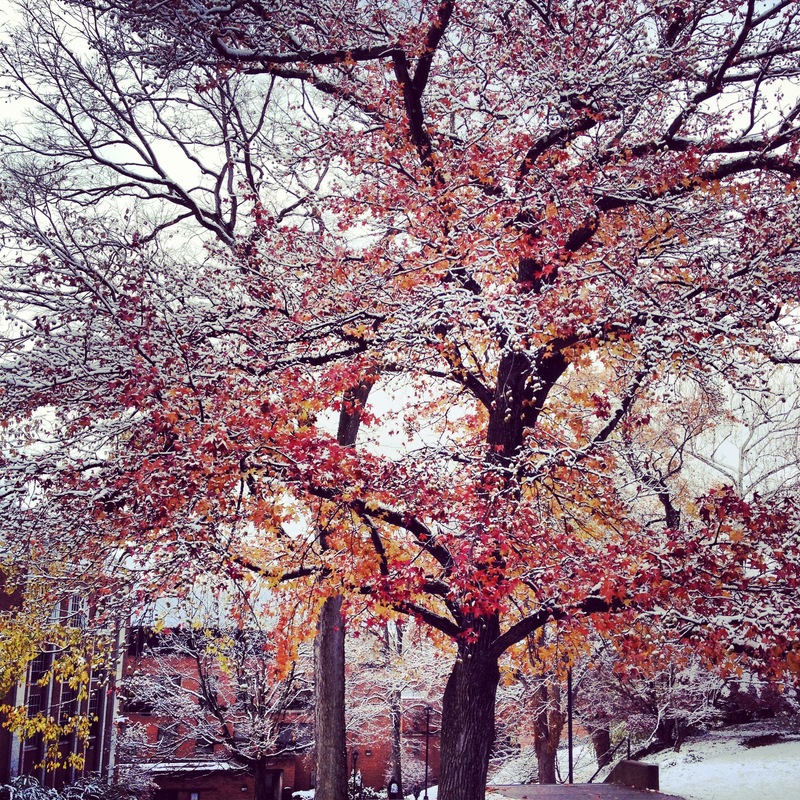 Yesterday we had our first snowfall of the season! Isn’t it so pretty?! I’m completely not ready to give up fall quite yet, but there’s just something special about the first snowfall that is so serene. I love that the fall colors are still visible through the snow and the warmth it seems to add to the atmosphere.